There are many advantages to playing in an online casino with a long history and an established reputation. The CherryCasino website has a great appearance. It contains information about the latest winners as well as some of the most exciting game titles. 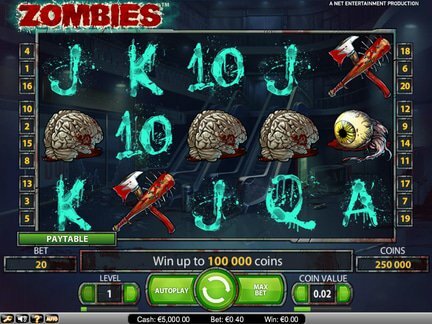 It also informs the player about the expected jackpots. The casino staff is especially interested in making an impact in Europe. Their strategy involves the promotion of a whole new type of casino experience. The casino has decided to apply the knowledge from 10 years of operations in the online casino world. So far, the results are satisfactory in terms of the incoming traffic. The promotions section may not look all that exciting with just two main deals. However, it is important to note that one of the deals is a daily giveaway. Therefore, it should be treated as a fresh new deal that is given out every single day! However, the welcome bonus remains the main deal at the casino. It is this particular deal that is most often compared and contrasted with what is available other sites. In this specific case, a welcome bonus of 100% up to €200 is provided. This promotion only applies to the initial deposit with the casino. It does not apply to any subsequent deposits. Opening an account can be done in a breeze. The website only requires the most basic info from the player in the registration process. There are plenty of payment options as well. The MasterCard, Skrill, PaySafeCard and Neteller have been approved for the purpose of making a payment. Cherry Casino is definitely interested in attracting players from the European continent, although it has visitors from different parts of the globe. At the same time, it has a policy of restricting access to the venue. Those restrictions apply to players from the following locations; Canada, France, Hungary, United States, Italy, Spain, The Netherlands, Denmark, Israel, Belgium, Denmark, United Kingdom and Thailand. The popular game category is available. Therefore, it is easy to find out about the games that get the most attention from the visitors to the website. Here are some of the titles that get serious attention; Twin Spin, Starburst, Dazzle Me, Vikings Go Wild, Lucky Zodiac, Foxin Wins Again, Neon Staxx, Chibeasties, Joker Millions, Ariana, Dracula, Spinata Grande, Goldilocks, Game of Thrones, Gonzo's Quest, Immortal Romance, European Roulette Gold Series, Thunderstruck II, Cyrus the Virus, European Blackjack Gold Series, etc. There are over 250 games on the site. That type of game selection makes it possible to continually explore and try out new titles! The games are divided based on their type. The visitors can find a game of interest by clicking on one of the following categories; Video Slots, Table Games, Video Poker, Classic Slots, Jackpot Games & Other Games. The payment team at the casino has attempted to resolve any complaints. There have been a few instances where the casino was accused of confiscating winnings and other money-related tampering. However, the casino has not had a bad reputation. The reviewers place the casino at an above avarage position in a ranking of sites of similar nature. The support team is available by e-mail, phone & chat. The casino has applied for a license in Malta. It has been licensed by the appropriate authorities. Malta has a fine reputation when it comes to providing licenses for different online casino entities. It is seen as a legitimate place where a venue can obtain its license. CherryCasino was established in 2000. The brand has also been operating in land-based casino initiatives. In my eyes, the CherryCasino Bonus deals are quite impressive despite the fact that a whole lot of other deals cold be added to make the casino more appealing. The casino staff needs to keep up the good work with resolving complaints from players. It is the key to the future of a casino. A ruined reputation would not allow them to be a serious alternative to other casino websites. I am a big fan of their gaming offer. When I was checking out the games, I've noticed the great variety of titles. That has definitely made me want to go back to the place.